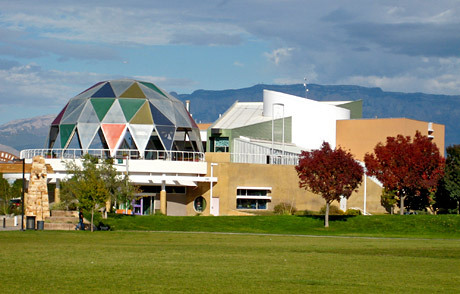 A hands-on interactive children's museum in the heart of Old Town Albuquerque. Explora! provides real experiences with real things that put people's learning in their own hands. Explora! is part science center, part children's museum, part free-choice school, part grandma's attic, part grandpa's garage, part laboratory, part neighborhood full of interesting people, and part of many people's lives. Exhibits are designed to engage visitors of all ages. Monday to Saturday: 10 a.m. to 6 p.m.
Explora! is closed on Jan. 1, July 4, the week after Labor Day, Thanksgiving Day, and Dec. 25.